Imeinu Doulas is a group of birth and post partum doulas that provides physical, emotional, informational and spiritual care to the laboring mother, her baby and her family to encourage the most positive childbirth experience. We are honored to offer resources for childbirth as a Jewish rite of passage and to be a voice of Jewish thought & culture, building women and family wellness networks in the US and Israel. 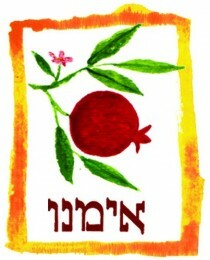 Our name “Imeinu” is inspired by our Jewish matriarchs. Read more about our name here. I am a birth doula and reflexologist living near jerusalem. I have been looking at Imeinu online and think it is a wonderful innovation! I would love to join the doula network. Please let me know how to go about . Thank you.